As a spin-off of last week's discussion, the following are true stories showing how false expectations might hinder selfless ministry. The only danger in giving specifics is that the offenders might be offended. I won't name any names, and if you think I am talking about you or someone you know, please be reassured that I harbor no hard feelings. It is with grace and humor that I recall these incidents. Back in 1989, I was still in the beginning of my parenting and missionary years. My extrovert self was still alive and well, and I suffered from loneliness while living in a remote village. I took full advantage of the time we were assigned to live and work in Guatemala City. That one year, I delighted in opening our home to others, and decided that I should extend hospitality to those who might need it the most. Whenever Jim was out of town, I would invite the single gals over for a game night. I loved putting the three babies to bed early and then setting out snacks to enjoy a frivolous evening of "garbage" with friends. One time in particular it was a riot with many hearty laughs. Jim's mom was visiting, and she is always good for a fun evening. It didn’t bother me [much] that they never reciprocated, since of course I wasn't single. Subsequently I got a phone call about another "garbage" night at a certain apartment. To think I was being invited out! Maybe they really were accepting me as their friend.... Mentally I had already hired a sitter and was out the door. No, then the caller went on to say they were wondering if my dmil* (see sidebar: Jamie Jo Speak) could join them. Honest to Pete. (My southern mama thought surely I made this story up.) I've laughed about this ever since. More recently a man in our small group asked if I might throw a dinner party in honor of his wife's birthday. I was more than happy to accommodate. Having no expectations that anyone should play by silly rules, I could laugh when this same couple later borrowed my folding table and chairs so they could have a dinner party at their house. You guessed it. I wasn't invited. In that case, I was almost flattered that they could freely invite others to dinner without fearing I might take offense. I am truly thankful people don't just include me from a sense of obligation, and I am thrilled to see people showing hospitality to others I suspect need it a lot more than I do at this season of life. The new "me" we talked about last month isn't the party animal she used to be, and if I'm ever lonely, I can certainly pick up the phone and invite someone over. I shudder to think how miserable I would be if I hadn't discovered the source of my discontent was faulty social expectations. IRL*Inviting but not "expecting" you to socially connect with me here! And - we love to play games, but much of our hospitality was focused on whoever had the best house for it! In a world where some had to avoid groups at their house, we would meet at those houses who could have groups without being suspicious. We had so many kids running around our house that our neighbors thought we were running a private school (and brought their kid to enroll!). So groups were never strange at our house. We hosted and just thought that was normal. Now I live in one where people would think before accepting an invitation from me... "that means I have to invite them back, and all those kids..." It is strange. 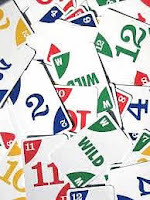 Garbage is the same thing as Phase 10, which I linked. It's basically a complicated game of gin rummy. Back in Guatemala we had to be careful about playing cards because some believers felt it was a sin. I think the whole big family thing is daunting for people. However now that we are a smaller family we still don't get invited out much. In the states people who have come down on team trips are the ones who tend to invite us over. 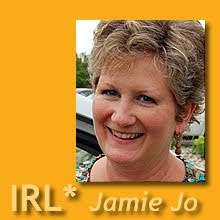 Hi Jamie Jo! Hallelujah the blog ban was lifted in Turkey! So I'm able to see your blog and enjoyed this post and the previous one. I also have been forced to let go of social rules and go ahead and invite people again even if they don't reciprocate. I am a southern girl who learned from her mama too, so I call the next day to say thank you, but don't let it bother me if my Turkish friends never do.